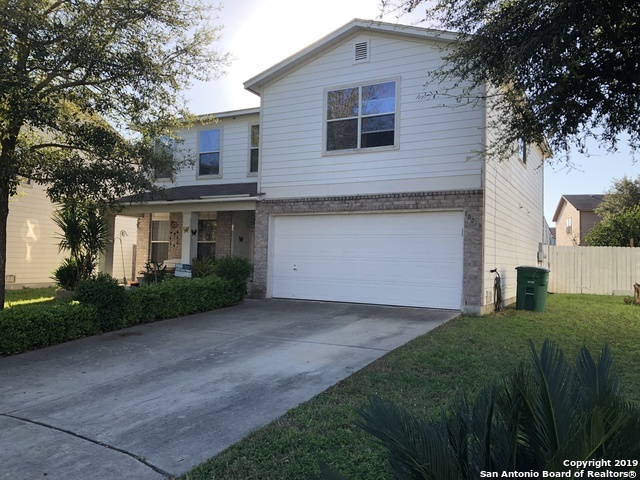 All CHEYENNE VALLEY homes currently listed for sale in San Antonio as of 04/22/2019 are shown below. You can change the search criteria at any time by pressing the 'Change Search' button below. "Big, beautifully remodeled home on cul-de-sac. 1st floor, tiled flooring, 2nd floor, wood laminent. Spacious living area and separate dining overlooks the large kitchen. Big bedrooms plus a loft/media/office/4th possible bedroom all upsatirs. Big, covered patio deck overlooking the large backyard which includes citrus trees, brick walkways, a detached storage shed and more. Minutes to popular schools, Randolph AFB, SAMCE, entertaining, shopping and more. MUST SEE! HURRY!" "This Home has so much Space and Value! It features an open floor plan and sits on corner lot. The Spacious home features 3 large bedrooms(with walk-in closets), 2.5 bathrooms, and a loft upstairs. The kitchen and living room area are great for entertaining! The backyard has a covered patio and so much more. Great location allows easy access to Randolph AFB, Ft. Sam, IH 35, Entertainment, and major shopping centers."